Bihar Polytechnic 2019 Entrance exam will be held online. DCECE (Diploma Certificate Entrance Competitive Examination), also commonly known as Bihar Polytechnic, is a prestigious examination conducted by BCECEB (Bihar Combined Entrance Competitive Examination Board). Also, Bihar Polytechnic is the qualifying examination for admitting students to Polytechnic Engineering (PE) / Part-time Polytechnic Engineering (PPE) / Para-Medical-Dental (PMD Matric Level) / Para Medical (PM Intermediate Level) Courses. So, given here are the complete details related to Bihar Polytechnic 2019 Examination. Latest Update: Bihar Polytechnic 2019(DCECE) Entrance Exam will be online from 2019. ITI Entrance Exam will be conducted from 21-28 February 2019. Counselling procedure for admission in ITI & Polytechnic will be online. BCECE 2019 examination has been scrapped, B. 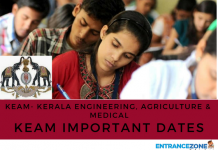 Tech and Medical (MBBS) admission will be through JEE Main and NEET UG respectively. The official advertisement is yet to declared. Firstly, BCECEB has released DCECE 2019 Online Application Form on the official website. Then, the aspirants must download and read carefully the information brochure. Also, the application forms has been released from 16 March 2019. 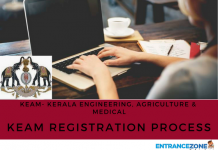 And, aspirants need to complete the registration process firstly. Then, after successful registration, the applicants must note down their Registration ID and Password. 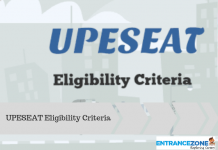 Further, after the payment of application fee, the candidates will be allowed to fill their personal and qualification details. Then, the students must upload their recent photograph and signature (in Hindi and English). Finally, the applicants need to send the printed copies of Application Forms of both parts along with the required documents and Challan. Also, candidates should send the application form with all documents to the below-mentioned address. Firstly, the Application Fee for Bihar Polytechnic 2019 will be as given below. Further, the application form fee can be paid either through online mode (Net Banking / Credit Card / Debit Card) or through offline mode (E-Challan). Nationality: The applicants must be Indian nationals. Resident: The parents of applicants should be the permanent resident of Bihar or government employees / posted in Bihar State. PM For Diploma in Pharmacy: 10 + 2 or equivalent with Physics, Chemistry, English, Mathematics / Biology. Appearing candidates are also eligible. For GNM course: 10 + 2 or equivalent with Physics, Chemistry, Biology. Appearing candidates are also eligible. For Diploma in Pharmacy: N.A. Results for Bihar Polytechnic 2019 will be declared in June 2019 for all the courses. Students can check their results on the official website of DCECE . After results, merit list will be released subject wise. Counselling for the exam will take place soon after the declaration of the results. Details will be published on the official website of BCECEB regarding the couselling procedure. Qualified candidates need to download the counselling call letter of Bihar Polytechnic 2019 from the official website in order to attend the counselling . Further details regarding counselling such as Date,Time and Venue will be mentioned in the counselling letter. 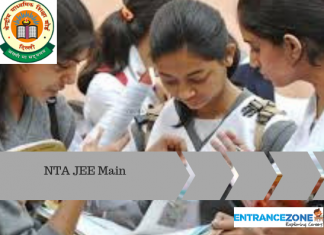 Finally, for more information and updates related to Bihar Polytechnic 2019, stay tuned with EntranceZone.